Do you know Ed, the bowling alley lawyer? He caught his wife fooling around with the postman, went back to his hometown, ran into the girl he had a crush on in high school, bought the local bowling alley as an excuse to stay near her, and found his legal services to be in demand. Ed and I have a lot in common, except the part about being a lawyer. And the part about the wife and the girl. Still, the bond between us is strong because Ed owns a bowling alley and I want to own one. Now I need to explain a little something about Telluride. Located in southwest Colorado, its about one mile long and half a mile wide, over 9,000 feet above sea level, and has a local population of approximately 1500 (not counting the dogs that seem to be in abundance there). Being an old mining town, the main activity of any evening is drinking. No kidding. Theres at least fifteen bars in this little box canyon retreat. To date I have never seen a town more beautiful than Telluride, which is why I have been going back there consistently for the last ten years. But theres more to my desire for having a business there than living in such wonderful territory. I truly believe that Telluride needs a bowling alley. They have plenty of outdoor activitiesskiing, hiking, horseback riding, rock climbing, mountain biking, fishing, hang gliding, etc. But what is there to do on a rainy day? Not much, except go to the movies. Same with the evenings. And what about folks like me who want to have fun without expending a lot of physical energy? Again, were relegated to the bars or the movies. There is plenty of space available for an alternative recreational activity. But the other reason why Telluride has such an attraction for me is its community. Unlike more urban settingswhere people live close together physically but on different planets sociallyor more rural settings where people may share the same concerns but live miles apart, Telluride seems to have a living, breathing community heart. The people of the town are close both physically and socially. They play together, work together, and solve (or debate!) community issues together. They certainly dont always agree, but they do try to improve and preserve the spirit of Telluride. Thats the kind of town that I would like to be a part of. And those are the kind of people Id like my bowling alley to servefamilies, neighbors, co-workers, and everybodys children. 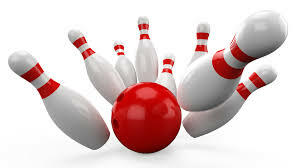 And for the most part, bowling is a group activity. Its just not that much fun when you bowl by yourself. You need your friends and family around to tease you relentlessly about your gutter balls. So what steps have I taken toward my goal? Not many, unless you count a lot of daydreaming. 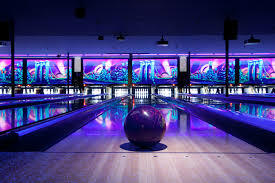 A couple of months ago I decided I needed a second job, and it occurred to me that for wanting to own a bowling alley so badly, I knew absolutely nothing about it. I started applying for jobs at bowling alleys in the Los Angeles area until I finally found one at the lovely Mar Vista Lanes. Now I can learn and observe from the inside, so that I can one day fit all the pieces together. To be perfectly honest with you, I never considered my desire to own a bowling alley to be unusual. It was just an idea that occurred and then continued to grow on me. But the few people Ive mentioned it to have been fascinated by both the idea of doing it and by the idea of me doing it. I suppose its a profession that most people dont even consider. I do remember when I was very, very young, my first best friends grandparents owned a bowling alley. And while I also thought that was unusual, I think I felt that way because they were the only people I knew who actually owned a business. Most of the adults I knew at the time just worked for different companies. So slap a pair of red, white and blue shoes on me and call me hookedthe world of bowling is calling my name and the San Juan Mountains are beckoning this mountain mama home. With a lot of luck, a lot of hard work, and a lot of community support, you and I will be bowling in Telluride! When not working at the splendiferous Mar Vista Lanes in Los Angeles or the equally enchanting Avalon Transportation Company, Cynthia Bellai can usually be found lounging around Mexico or Colorado, not working on her Master’s thesis.